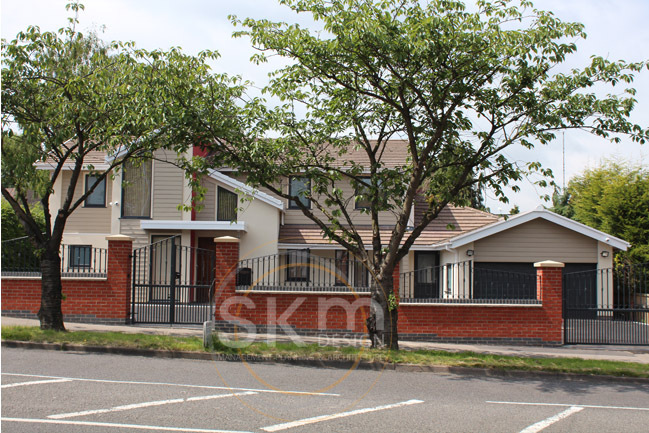 Originally a fairly large but dated property with many traditional features. 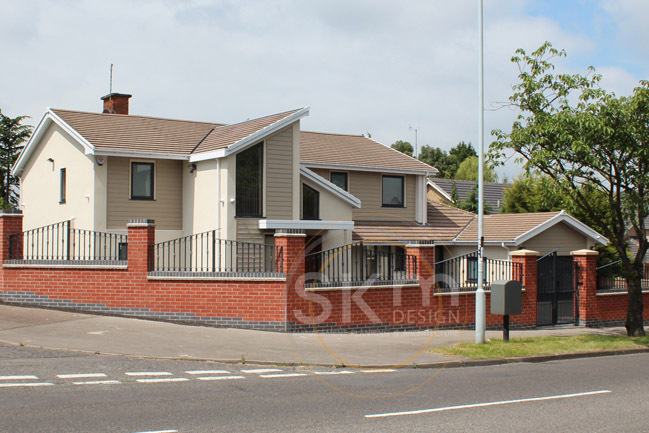 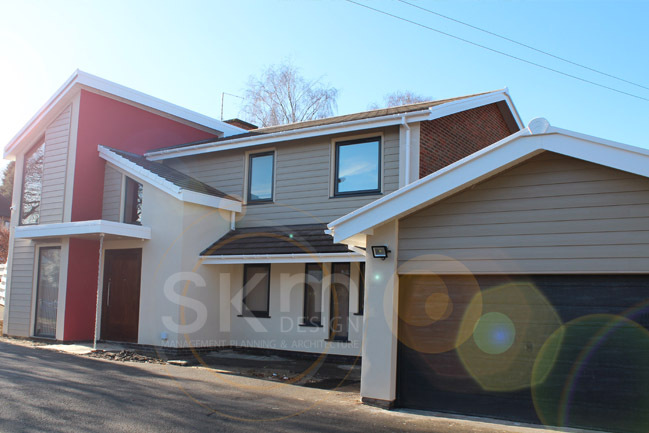 A striking asymmetric front gable with a post-box red feature wall brings a modern personality to the street scene. 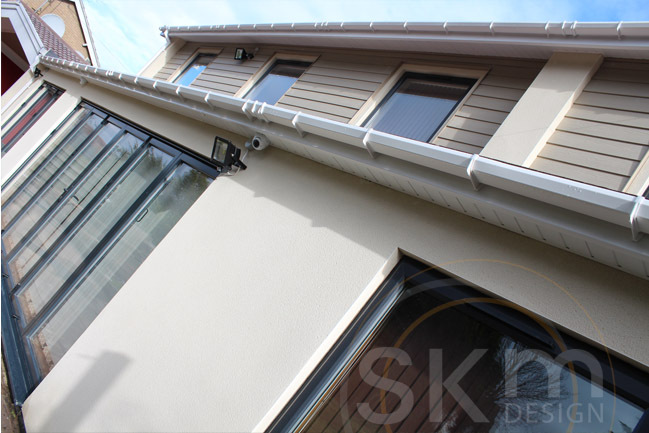 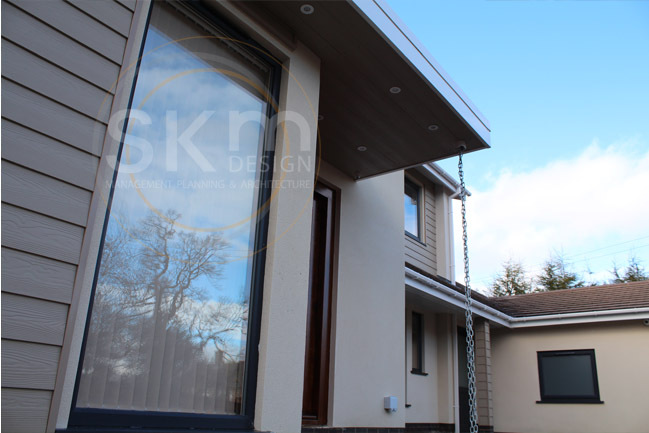 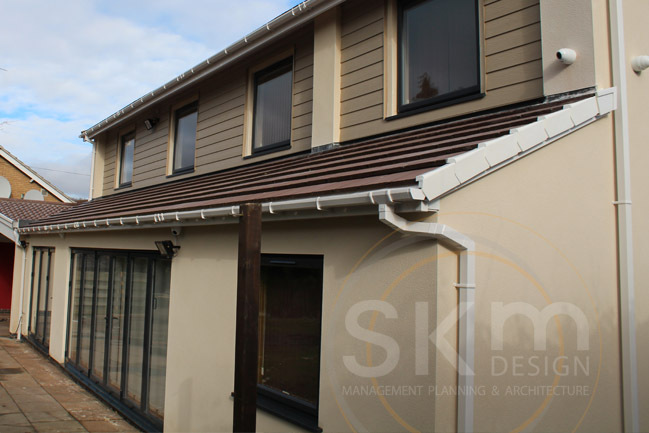 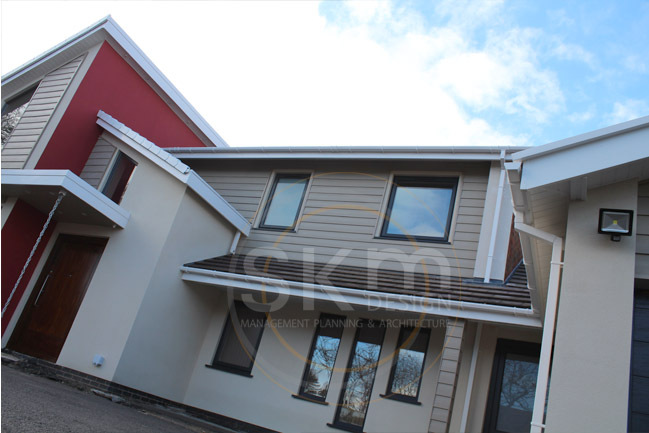 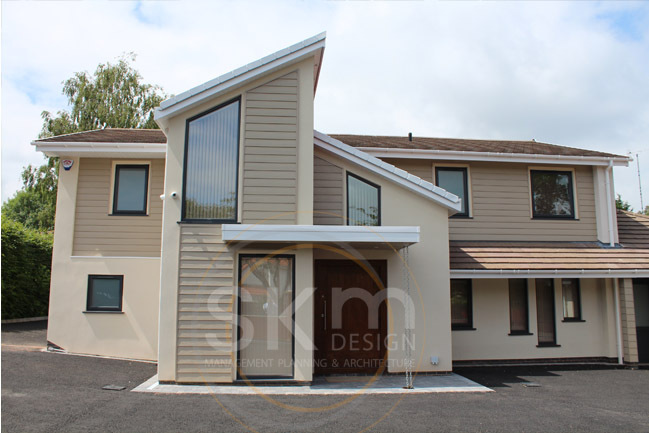 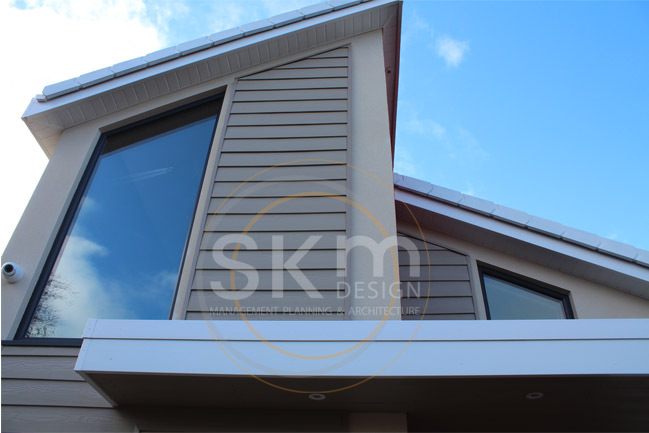 The rear extension complements the front with an asymmetric gable and red inner wall leading out of the kitchen, and the neutral cladding and render combination carrying through.